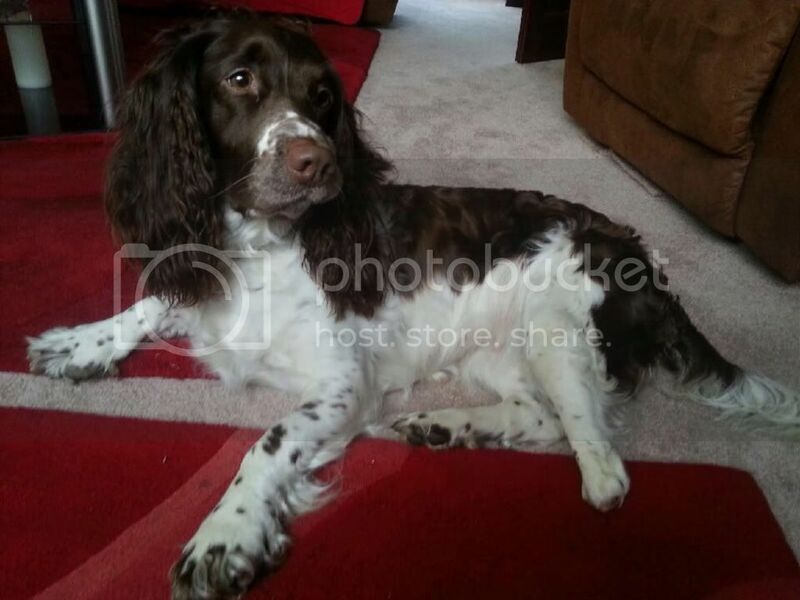 Missi is a 5 year old Springer Spaniel, and what we like to call a 'tripawd' dog! 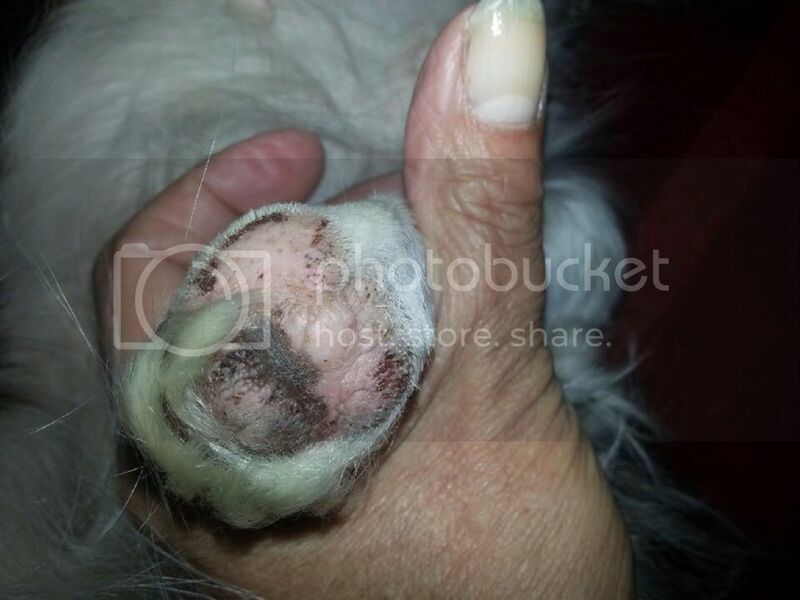 As these photographs show, she has a birth defect on her rear left leg. Her paw is missing, although there is a developed foot pad, and Missi manages perfectly well and will not require any treatment, she only uses the leg to propel herself, and not for weight bearing, and it doesn't slow her down one tiny bit! 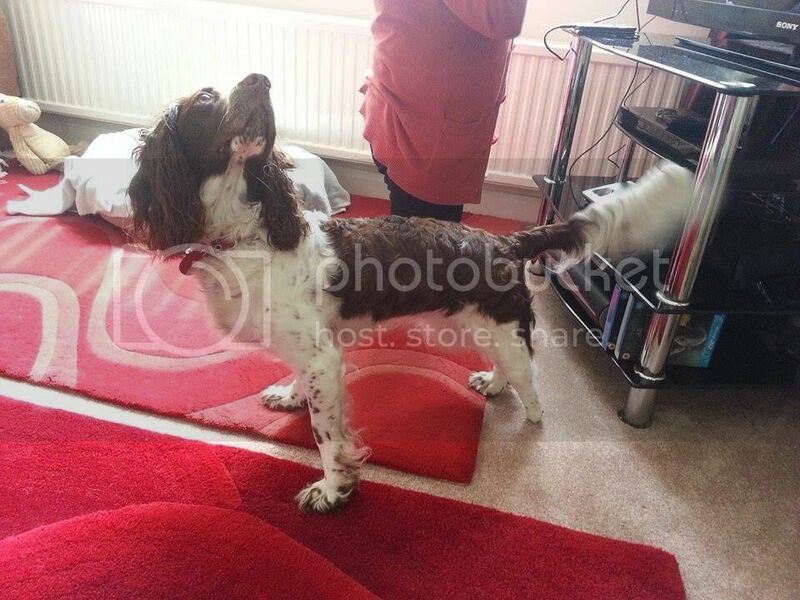 She is a typical spaniel; energetic, loves water, cuddles, affection and a fuss. Missi is house trained, happily sleeps downstairs overnight without any problems and loves being around people, but can be left for short periods of time. She adores being outdoors, enjoys her walks (although she still pulls on the lead, but this is improving), she has excellent recall and loves chasing her ball. She is good with other dogs, but likes her own space, great with older children and enjoys meeting new people. Missie would like an active home where she will get the exercise and stimulation she needs. She would be best as an only dog, where she will get all the attention and attention to herself, and a home with older children (7+) as she can be bouncy. She would like someone to be around most of the day as she loves company. Missi is speyed, microchipped, worm & flea treated and vaccinated.